Playing scales with modal chord progressions is the perfect way to develop your improvisational skills. 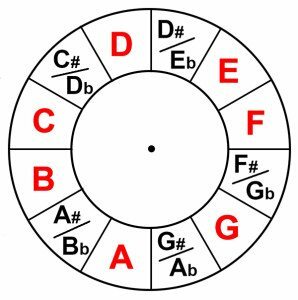 The reason for this is that no matter what chord is being played, the melodic instrument still has only the basic seven notes to choose from. In other words, if you are playing using the major scale, almost any note you play will sound great within a modal arrangement. This builds confidence while teaching you to improvise within an ascending progression. Notice the scale wheel above. For now, let’s say you are constrained to stepping only on the red letters. No matter which letter you start on, you will be taking five whole steps and two half-steps in order to go up or down an octave. Depending on which red letter you start on, you will have a different pattern of whole steps and half-steps. These seven possible step patterns are called the modes. The first mode of the seven-mode sequence is called the Ionian Mode. If you are stepping on the red letters, you will start with letter C to begin the Ionian mode, otherwise known as the major scale. It's familiar interval pattern is two whole steps, one half step, three whole steps, and then one last half-step to complete the octave: W-W-h-W-W-W-h. You probably recognize this because it was heavily featured in the Sound of Music movie. In shape-note singing, the shape names representing the Ionian Mode are Do-Re-Me-Fa-So-La-Ti, then ending with another Do, one octave higher than the first. The notes of the Ionian Mode are numbered 1-7. This is a little counter-intuitive, since there is only a half-step between 3 and 4, and also between 7 and 8. However, giving each note of the Ionian Mode its own integer number becomes very useful. No matter what letter you begin on with, the numbers of the Ionian Mode are still the same; 1-7. Since the Ionian Mode begins with two whole steps, the Ionian Mode is considered to be a major scale. In fact, the C Ionian Mode is more frequently called the C Major Scale. 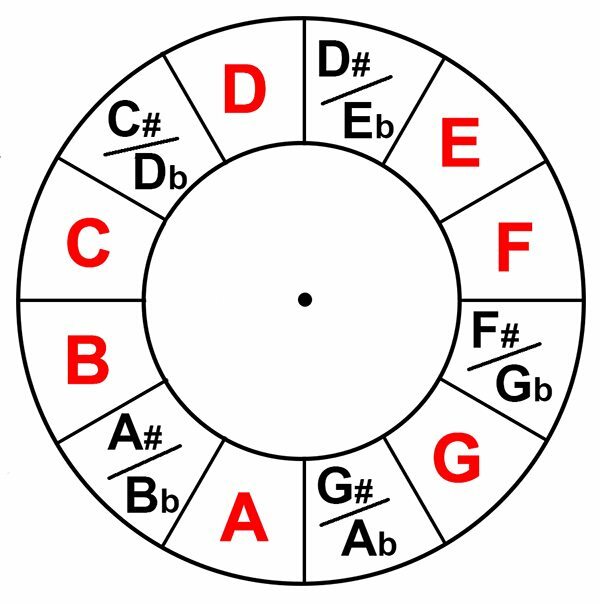 The red letters of the wheel above are the seven notes of the C Ionian Mode. It is called the C Ioninan Mode because the first note is C and then the Ionian interval pattern ensues. The seven notes of the C Ionian Mode are C-D-E-F-G-A-B. If you are familiar with a piano keyboard, these are the white notes starting with C.
If you were to play those same seven notes, but starting with D, the you would play D-E-F-G-A-B-C. These are the still the white notes on a piano, just starting at a different location. This is the second mode, called Dorian. Since the second mode started with on the D note, you would call it D Dorian. And since the Dorian Mode does not start with two whole steps, it is called a minor scale. After D Dorian comes E Phrygian, another minor scale. Then come F Lydian and G Mixolydian, each major scales. Next is A Aolean, another minor scale. Last is B Locrian. It is the only mode that has two half-steps in the first four intervals. It is called a half-diminised scale. Notice in the table above, if you played the first note of each mode, you would be playing a C Major Scale. Below, I have linked to MP3s of ascending modal chord progressions. For example, the C modal progression is C, then D minor, then E minor, the F, then G, then A minor, then B half-diminished. All of these chords use the same seven notes. The easiest way to play along with these MP3s is to play the first note of each modal chord. This will create a simple scale, with one note per chord change. Then, the patter repeats. For each key, you have four different choices. You can choose to change chords after two beats, three beats, four beats, or eight beats. Once you become adept at playing scales using the first note of each ascending modal chord, is is time to start improvising like I did in the video at the top of this page. Below is some sheet music with some suggested "improvisations" to get you started. 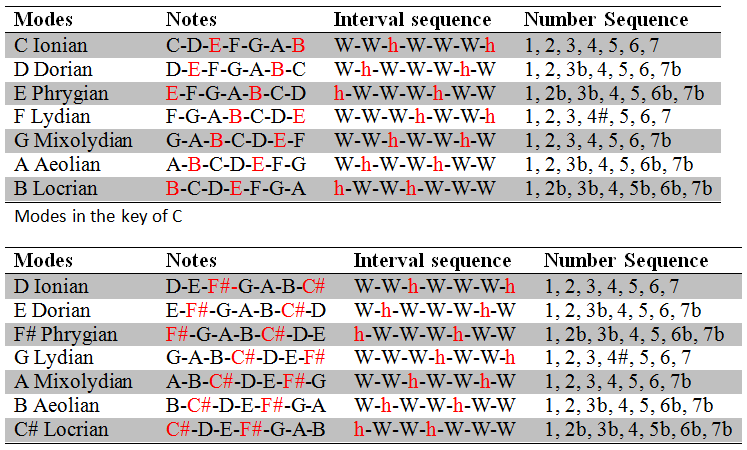 These are in the primary bluegrass keys of A, Bb, B, C, D, E, F, and G.
Below the sheet music links are videos of the sheet music being played for all eight of those keys. Each video contains all four chord-change patterns; 2 beats, 3 beats, 4 beats, and 8 beats per chord change. If these are too fast for you, then choose a greater number of beats per chord change. For example, the improvisations for the 2-beat chord changes can be played half as fast if you use a 4-beat MP3 instead. of beats per modal chord change. 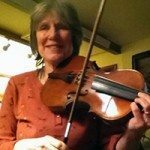 Posted in Teaching	Tagged with: "improvisation" "online fiddle lesson" "modal chord progressions" "improvisation lesson"
This topic contains 27 replies, has 10 voices, and was last updated by John Cockman 1 year ago. Hi everyone, this is the start of a lesson set on improvisation. If it feels out of place, it is because this is not ultimately going to be the first lesson. However, you have to start somewhere! This will be improved upon as the entire lesson set takes shape. Enjoy! Thats cool John , I will have to practice that. Glad you explained what modal is, I thought it was a haircut. Oh wait thats mullet haircut. Bam, This is the best lessen since I learned how to sneeze, I mighta have tah go through that twice. Thanks! Hopefully everything will be more clear once the entire lesson set has been created. It will be fairly comprehensive! Oh wow…that is very good stuff! John, all this is very cool, I hope you can teach this so even I can get it. Thanks — I’ll really try to flesh this one out! Rock said what I’ve been thinking. I’ve even been consulting an old music teacher to help me understand and she’s starting me…at the bottom. It’s still seems a bit complicated but if a 4 yr. old can get it, there may be some hope for me…maybe! Thanks for the improvisation lesson! Very helpful. Looking forward to the series. I am looking for a four year old to teach me! 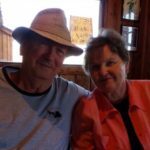 When I have a problem with these new gadgets I just ask my grandchildren! No kidding! Kids these days just get better and better. Haha, I like that one. 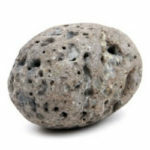 I’m going to use that, Rock. OK but it will cost you next years subscription payment. I wonder if I have already gone through my second childhood. John , I could just kiss you all calm like here. Spock ! the Ionian crystals are red hot and ready for warp drive modal improv , if we dont go soon, the entire ship will blow into hyperspace semi tones quantified colours . Gu sending BIGG CYBER HUGGS , Oh my God , thank you for putting John up to this … I am so like , first year , you put me on the shuffle , then second year onto maple Sugar , and now 3rd year ImPROV WOOHOOOOOOOOO ! never mind cash Gu , this is worth so much more then a million bucks. Straight up , fill the cup ! Can I put it this way , LOOOOOOOOOOOOOOVE You Bluegrassdaddy John ! 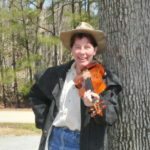 maximum Chill zone fiddle 303 Yeehaw ! I am loosing my mind over here, just jammed with you 12 times all the way through C and A , what a blast , I am downloading mp3s in all keys and time , bless-apprentice-up feeling ! It s always ” too soon ” at 10;24 , so , I m with ya , I rewind , and do it again :O) ! Yeeeeehawwww Gu! 🙂 🙂 🙂 You just made my day! Can’t wait to hear your creative juices overflowing on the modal improv. I love you too! So I came back to my faithful improvising using chord progression page for a boost of B in 8 :O) You Rock !! Yeehaw , hope you and your family is having a great day too . And to BGD family as well , bon journer a touses ! Gu, your words are like rainbows. You have to be one of the most creative writers I know. I agree about Dm. It is such a mournful key. Congrats on your contract! We need more lessons for tunes in B here. Hi! Thanks for the reminder. I do have several lessons created but they are unfinished. 🙁 I will get on to it!